Abercynon Community Primary School aims to provide a safe, secure and happy learning environment at the heart of our community. We will support, develop and inspire every child to reach their potential through an appropriate engaging and challenging curriculum. Our vision defines the high expectations we have for each individual to successfully shape their future. To create a school that ensures each individual is treated with respect and given equal opportunities to learn, grow and achieve their potential. To respect and nurture individuality whilst creating healthy, confident individuals. All children, staff, parents and governors working together on a shared vision, valuing and promoting strong links between home, the community, Wales and the wider world. To ensure a safe learning environment where children develop as ambitious, capable and independent learners through challenging, interesting and enjoyable tasks appropriate to their individual needs. To identify and nurture individual talents, celebrating every pupil’s success in order to motivate them to become enterprising and creative contributors within our community. To welcome and develop each and every child daily to prepare for the next step in their learning and to ensure a purposeful future. Build pupils’ confidence and self-esteem. Help them to acquire knowledge and skills relevant to life and work in a fast changing world. 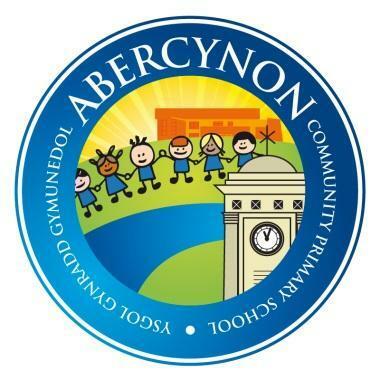 Continue to promote Abercynon Community Primary as a successful school, which is fully integrated into the community where the parents have high hopes and aspirations for their children’s education. Involve parents in the education and wellbeing of their children whenever possible. Provide a safe, happy and secure environment for all who work and visit here.